An excess of ground-level ozone and heat caused the premature death of 460 people in the United Kingdom in 2006, according to a study done by the University of York. In 2004, an excess of ground-level ozone was detected in Dutchess County, endangering the health of its inhabitants, especially children and elderly people. Have you ever noticed that gasoline is more expensive in Dutchess County than in Ulster County? An investigation into the matter uncovered a tremendous confusion in which neither gas station owners and customers nor government employees know the real reason behind the price difference in gasoline. 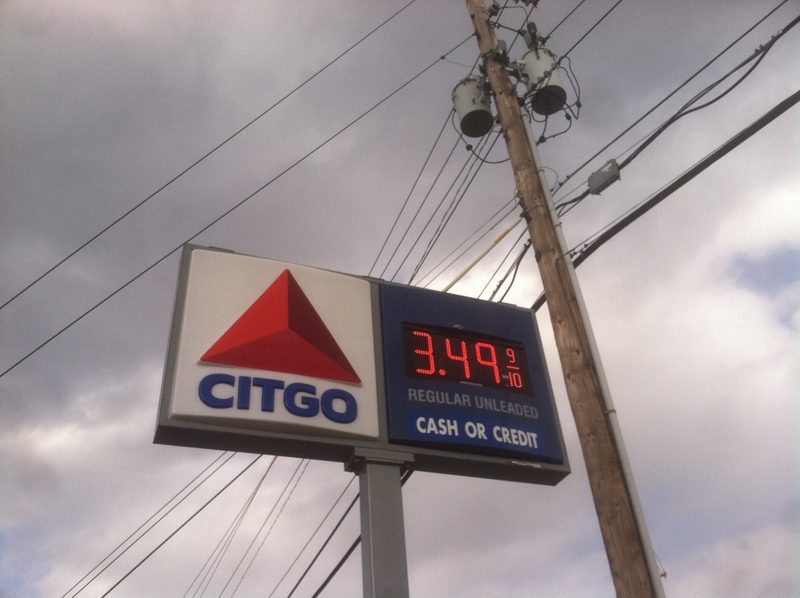 An employee of Citgo in Kingston explained that “the price difference is due to higher taxes in Dutchess than in Ulster”. A frequent client of the same gas station said that it is due to the fact that “Ulster´s income is less than that of Dutchess”. A Shell employee in Red Hook, Dutchess County, explained that it is because their gasoline is mixed with ethanol, while the one in Ulster County isn´t, and that ethanol is more expensive than gasoline. Finally, the County Government informs the residents of Dutchess County that the prices difference is due to the mixing of ethanol into the gasoline, as the Shell employee said. Unfortunately, they are all wrong. You may be wondering how this is related to the risks of ground-level ozone. It turns out that the extra cost for gasoline in Dutchess may have saved the lives of many of its residents. In order to protect those who live in Dutchess and other areas with excess ozone, the Environmental Protection Agency (EPA) developed a plan to reduce ozone levels using a new type of gasoline: reformulated gasoline. Reformulated gasoline came to the market in 1995 with bright promises. Propelled forward by the EPA and the Clean Air Act, it was expected that this gas would produce between 15 and 17% less pollutants than conventional gasoline. This is equivalent to 10 million less cars on the nation´s roads. By 1999, it was confirmed that the use of reformulated gas reduced ozone emissions by 17%. It also reduced the amount of benzene, a carcinogenic compound emitted by conventional gasoline, by 43%. The second phase of the Reformulated Gasoline Program started in 2000, increasing the use of this fuel to 30% of all gasoline nationwide. This increase has reduced air pollutants by 105, 000 tons, equivalent to an additional 6 million cars less on the streets. But, what is reformulated gas? Contrary to what the Dutchess County government says, reformulated gasoline is not gasoline mixed with 10% ethanol. Virtually all gas in the country has this amount of ethanol. Reformulated gas is made up of the same components as conventional gasoline, but it has been refined further so that it pollutes less. In other words, it burns cleaner. Using this type of fuel is a first step towards a safer future for our planet. Doctor Jeremy Martin, senior scientist in the clean vehicles program at the Union of Concerned Scientists (UCS), explains that “we have to be more efficient in transportation and we […] must get rid of the dirtiest kinds of fuel and oil.” By doing so, we will prevent the emission of more greenhouse gases (responsible for global warming) into the atmosphere and promote a healthier planet. There´s no doubt that it is important to take care of the environment and the purity of our air but for many people, the idea of having to pay more for gasoline is a source of concern. Gasoline in Dutchess is more expensive than in Ulster, that´s a fact. On a given day, gas in Poughkeepsie (similarly in Red Hook and all towns in Dutchess) is about $3.65 while gas in Kingston, on the other side of the river, it is $3.49. The annual price difference, however, is only $80, taking an average annual consumption of 500-gallons per car (data from the EPA transportation office). That is approximately $1.52 per week; a very reasonable amount in order to secure a healthier future for the county´s residents. With such a small price tag for greater security, one wonders why this type of gasoline has not been adopted nationwide. The general population is not given the choice to pay the $1.52 extra for cleaner air. It is legislators who must take the decisions which will require cleaner types of fuel. The problem is that these legislators face resistance from influential oil companies for whom a cleaner fuel requirement would mean elevated production costs. As doctor Martin explains: “oil companies don´t want to pay for the new equipment to clean up their fuel. They fought against taking lead out of gasoline for a long time, and when we finally did, it literarily made all the children in the country smarter. It is natural that consumers are concerned about fuel costs, but environmental regulations are not the real problem and keeping our fuel dirty is not the solution. Cutting our oil use is the smart way to reduce the problems oil causes our economy, our security, our environment and our climate.” Doctor Martin is part of a movement called Half the Oil, which works to reduce oil consumption in the United Stated by 50% in the next 20 years. By 2014, the use of reformulated gasoline caused the belated death of at least 16 million conventional-gasoline cars, without leaving a single person without transportation. That is because these cars are still on the road, but their excessive pollution isn´t. And it´s about time! Air is now cleaner than it was before the use of reformulated gas, and at a very reasonable price. There is a lot left to do to ensure a secure future for the planet, but with preventive measures like what Dutchess County adopted in 2004 (although rather confused about what it was they were adopting), the earth is slowly recuperating from decades (maybe centuries) of mistreatment and neglect. *Andres Martinez de Velasco studies music and physics at Bard College. He recently attended the first Intensive Writing Journalism in Spanish Workshop taught at Bard.